Under Construction. Ready Mid February! 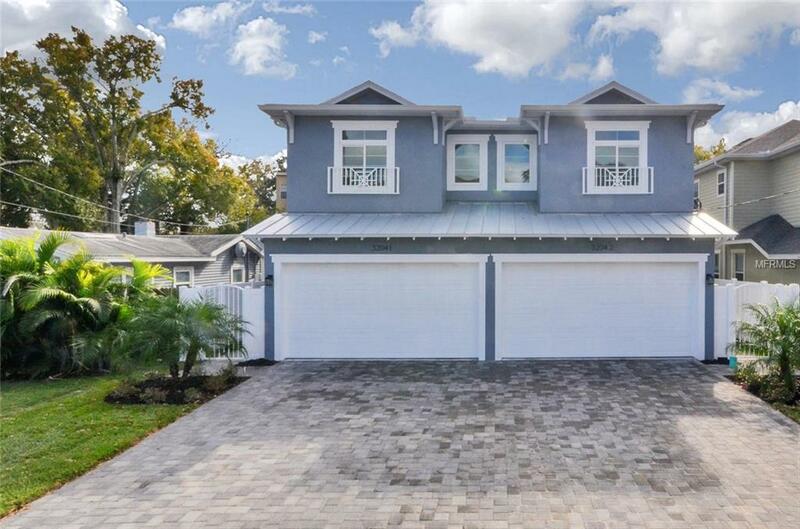 Spectacular TB Homes town home w/decorative gated entry. Home has a 18' paver clad covered lanai plumbed for outdoor kitchen + an approx 20' private backyard - room for pool, play-set & greenspace! 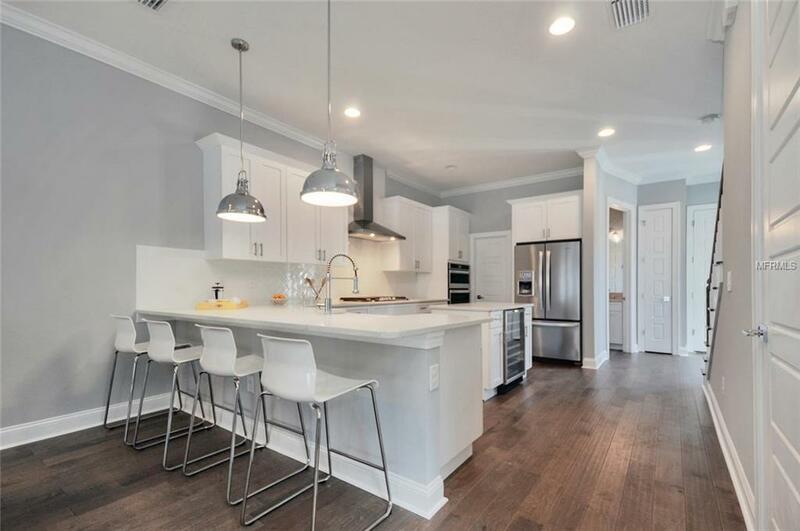 (10' ceilings down, 8' square panel doors, Dbl Paned Hurricane Impact Windows, Crown molding throughout Downstairs & Master, 5" gray hardwood throughout 1st floor/Stairway Upper Hallway & Master BR, Quartz that mimics marble in Kitchen/Baths. Exquisite workmanship & finishes. 3 BRS/2.5 Baths & Great Open Living Spaces. 25' paver driveway! 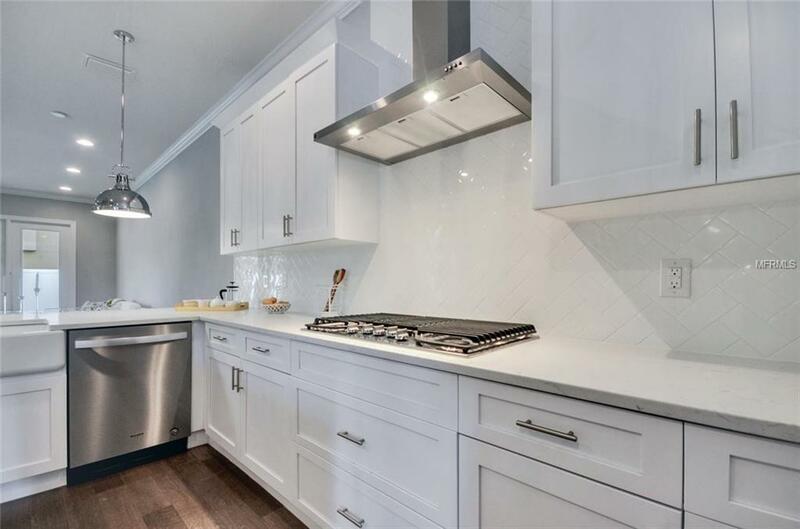 Large Master Suite w/enormous closet & over the top Bathroom w/large shower enclosure w/rain head, Dbl vanity w/Make-Up Station, 12x24 Tile, Modern Chrome Moen Plumbing Fixtures. Knockout Kitchen w/breakfast bar overlooking Great Room includes Farm Sink, Quartz, Whirlpool STL STL APPL (5 Burner Gas drop-in range, Hood, French door Fridge, Dishwasher, Built-in Oven & Convention Microwave Oven Combo), Subway Tile Backsplash in HERRINGBONE pattern, Center Island w/WINE FRIDGE topped off w/42" Shaker cabinetry w/dovetail/soft close drawers. 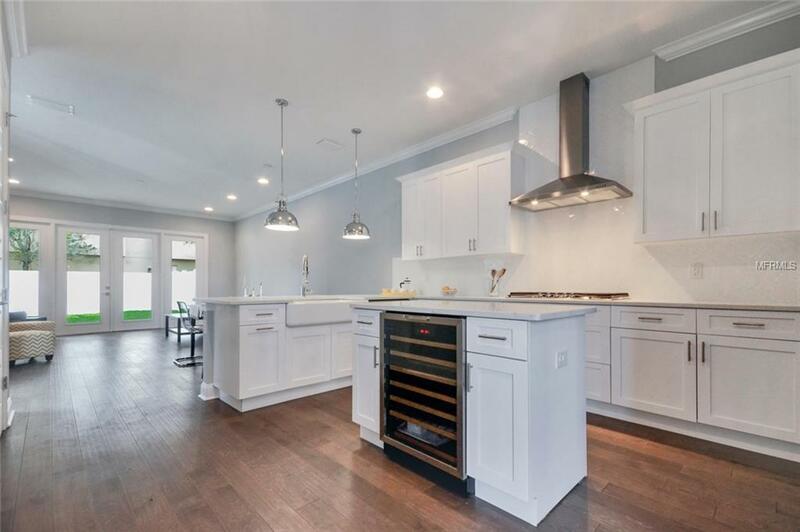 PAVERS at Front Porch/Rear Outdoor Living/Driveway/Front Walk, Large Walk-In Pantry, Laundry w/Cabinetry/Sink, Gas APPL (including tankless water heater), Landscaped/Irrigated all located in an A-Rated School District. Renderings are for artistic purposes only and should not be relied upon.